I have a huge amount of respect for those non-native English speakers tackling the GMAT. 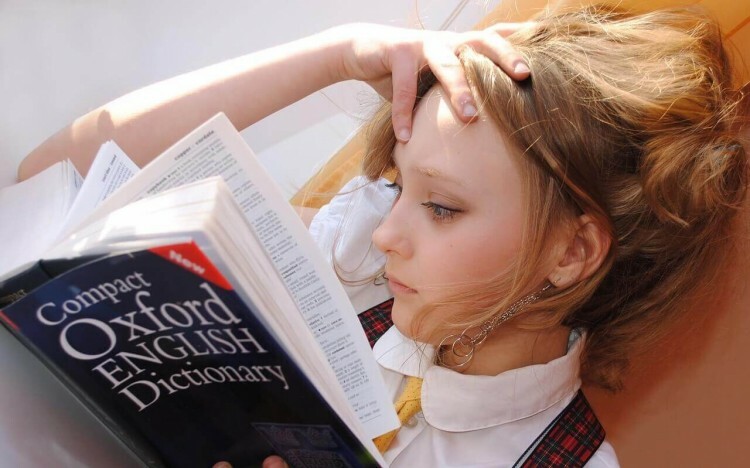 While the fundamentals of practising for the verbal section remain the same, there are some additional challenges for non-native English speakers to be aware of. One of those challenges is vocabulary. Unlike the GRE, the GMAT does not explicitly test your vocabulary. The GMAT Verbal section, however, does test your understanding of words and statements, and the overall meaning of sentences. The language of the GMAT is very precise. 1. Learn to use context to guess the meaning of words. Don’t go to your dictionary straight away. Rather, try to tackle the question first and get used to guessing the meaning of words from their context. Notice transition words that help you track the relationship between ideas—so-called transition words like ‘however’, ‘in addition’, ‘furthermore’, and ‘in contrast’ can help you see how sentences relate to one another, even if you don’t understand some of the technical terms and vocabulary. You can also think about the role an unknown word plays in a sentence—for example, is the word a verb, or an adjective?—to guess its meaning. After you are done with the question, go to your dictionary to check your understanding, and the precise meaning of the word. Once you have looked up a word, put it into a vocabulary book, and make sure you can explain what it means. Focus on the meaning of the word and the context in which it was used. Try to use words immediately after learning them. This method will also help you to learn the vocabulary that is specifically relevant to the GMAT, rather than memorising arbitrary lists of words. Your brain will forget vocabulary lists unless you make the words memorable and associate them with a context. You’ll find the same words cropping up time and time again in the GMAT. Vocabulary that relates to logic is important to understand so make sure you know words like ‘evaluate’, ‘reject’, ‘refute’, ‘argue’, ‘analyse’, ‘discuss’, ‘assertion’, ‘contention’, ‘imperative’, ‘mitigate’, ‘infer’, ‘imply’, ‘warranted’, and ‘corroborate’. The GMAT is testing your logic, so certain words that show extremes or degrees are very important and can’t be skimmed over! Words like ‘most’, ‘some’, ‘all’, ‘always’, ‘at least’ ‘necessarily’, ‘have to’, ‘best', and 'worst’ are important in understanding the precise meaning of a sentence. Make sure you are not skimming over information but are reading for understanding. While relying on ‘what sounds right’ won’t get you very far with Sentence Correction questions, one big advantage native English speakers do have is an ear for idioms. The GMAT Official Guide notes that 'knowing idiomatic constructions is rather like knowing vocabulary words.' There are no good reasons why certain idiomatic expressions exist in the form they do. You’ll have to explicitly learn them. Magoosh’s GMAT idiom app is great for learning GMAT specific idioms on the go. As a non-native speaker, make sure you practice these idioms and keep a notebook to write them down as they crop up in questions. A lot of GMAT resources encourage non-native English speakers to read more, and I agree. Reading English, from sources like The Economist and the Wall Street Journal will help you become more fluent, but make sure you are actively reading. For every magazine or newspaper article, make sure you are able to stop and paraphrase each paragraph and check your understanding. Think about the role each paragraph plays. It is not enough to improve your vocabulary in isolation—you will also need to make sure you are reading carefully to determine what each question is asking.